To impact on policy, we need both skylarks and canaries. It may be more congruent with a rights-based approach, writes Adrian Voce, but promoting ‘free-range childhoods’ alone will be less effective without also highlighting their absence – and ‘nature deficit disorder’ is as good a way as any. The recent debate about the relative merits of the terms ‘nature deficit disorder’ and ‘free-range childhood’ as part of the play movement’s campaigning lexicon reminded me of another metaphor which might help to place the debate in a wider policy context and show that they each have their benefits and limitations. If you haven’t followed this debate, it was initiated – in the current instance at least – when Wendy Russell took up a challenge laid down by Catherine Prisk, Play England’s director, to identify a ‘rallying cry’ that was as effective as nature deficit disorder in getting our message across. Wendy had criticised Cath’s use of the term in a tweet from Play England’s Play and Health seminar in March. Wendy’s subsequent guest blog on Love Outdoor Play explained why. The term tends to medicalise the problem, she argued, framing children as deficient and passive. This “over-protective, child-centred construct of need”, she says “creates dependent children” and is therefore a self-defeating approach. 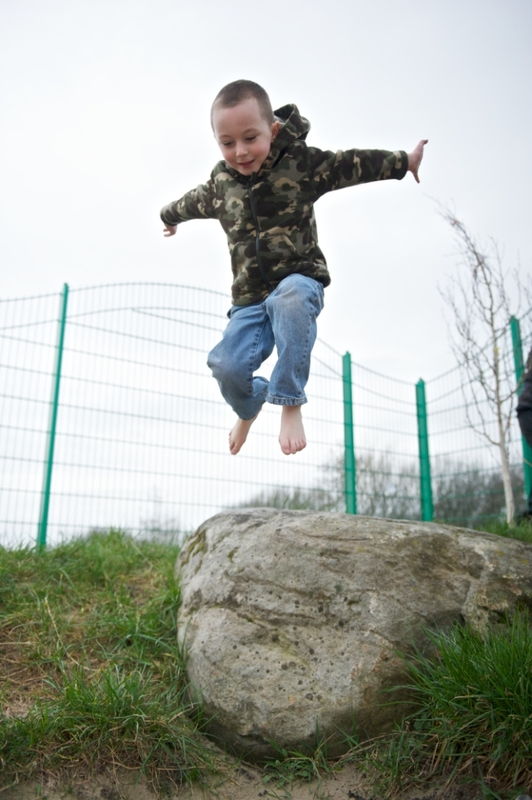 Wendy advocated rather the use of a different metaphor, ‘free-range childhood’ because, she said, it “acknowledges children’s own ability to take time and space for play if the conditions are right. It constructs the problem as being with the way things are set up, not with children themselves”. 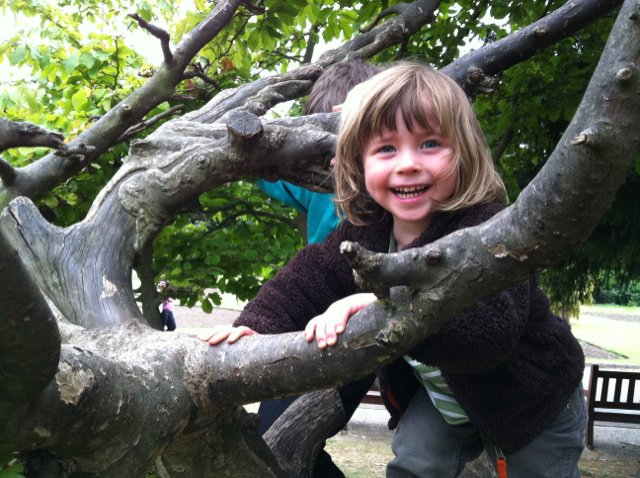 Tim Gill joined the debate on his ‘Rethinking Childhood’ site, suggesting that, while he shares some of Wendy’s reservations, there is much to commend the ‘nature deficit disorder’ banner and the Children and Nature Movement it represents. “Far from medicalising children” he argued, “(it) is bringing into sharp focus the role of the environment, institutions, culture and wider society in shaping their lives”. I too have some problems with the nature deficit disorder metaphor. One is simply that it might not be widely understood to be a metaphor. When terms pass into common usage they can give rise to myths not intended by their creator. The medical language here could be misconstrued in the popular media as having a literal meaning. This could damage the credibility of the movement and lead to accusations of moral panic making. Another reservation is that the use of medical language as a metaphor can sometimes cause offence to those dealing with real medical conditions. Appropriating medical terms to describe what is really an aggregated set of social phenomena with projected public health consequences – even metaphorically – could be seen to belittle these problems, which have not always been, and are still sometimes not taken as seriously as they deserve to be. But free-range childhood is a slightly uncomfortable metaphor too, conjuring up the image of children as a species of livestock that we need to husband correctly (before rounding them up for slaughter?!). Metaphors have their limitations, but my friend and colleague Arthur Battram has coined one that is highly relevant to this debate. Arthur likes to talk (possibly with his tongue in his cheek, where it spends a good deal of time) about the Pink Bicycle Indicator (PBI), which would see the presence of pink children’s bikes lying around the neighbourhood as a proxy indicator of children having a good amount of freedom to play out. The bikes and the fact that they are left unattended around the place is evidence, in this scenario, of both outdoor play and a safe, trustworthy playable community. The PBI arises within Arthur’s discourse about the ‘Skylark and Canary’ approaches to policy-making. Societies – and the governments acting for them – tend to come to important decisions by two quite different routes, he argues. In the Skylark approach, the prevalence of skylarks – known by scientists to thrive only when a certain number of environmental criteria are met – is taken as a proxy indicator for bio-diversity. A healthy skylark population would therefore be seen as evidence of a more generally thriving wildlife. Measures that increase the skylark population would be good for the environment in general. This form of policy-making is less common, says Arthur’s thesis, than the ‘Canary’ approach. Until as recently as 1986, canaries were used in coalmines to detect poisonous gases which might be otherwise undetectable until too late. Quite simply, a dead canary in the cage was an indication of danger and the need to change course – or retreat altogether. Working with or for children, we should be mindful of Wendy’s caution about the deficit model. The disability rights movement has progressed hugely since it found a framework and a model for debate that clarified the meaning of the language of disability in terms that are more empowering. The social model of disability is a powerful concept that has relevance beyond how we see and respond to disabled people. I think Wendy makes the point well that children too can be – often are – disempowered by being framed as deficient in the language that we use even as we seek to liberate and empower them. Her support for a ‘free-range childhood’ campaign is consistent with her long-held advocacy for a social model of childhood which places play at the heart of a re-evaluation of our concept of children’s rights and children’s agency. It is important work and has much to offer this movement. However, we live in a world were policy is made most often, not according to a vision for an empowered populace, but in reaction to the problems which are receiving the most headlines – or producing the most dead canaries. The childhood obesity epidemic, for example, is a symptom, surely, of a wide range of restrictions, constraints and infringements of children’s rights. A Skylark approach to policy for children’s health would simply envisage environments that science (and common sense) tells us provide optimum opportunity for healthful activity and wholesome diets (which we have already agreed under the UN Convention on the Rights of the Child) and set about providing them as widely as possible. An indicator of how well we were doing? Well, counting pink bicycles wouldn’t be far off the mark. Instead, we have waited until you couldn’t move for dead canaries. Except of course that in this case, the ‘canaries’ are not expendable. Obese children are not just a proxy indicator. Given the reactive nature of policy-making (which, after all, must reflect the culture within which it happens), perhaps then we do need our own negative rallying cries. People rally to causes when they can identify a problem that needs addressing. Amplifying a message to reach the widest audience has risks. The media can be voracious and unscrupulous, with truth and accuracy often seeming to be less important than sensation and impact. But this is the campaigning game. The trick is to use the media to convey the more nuanced messages once we have the opportunity. But we do have to attract its attention first. Nature Deficit Disorder, for all its limitations, has encapsulated a particular set of problems that people can identify with and recognise. It may oversimplify some complex issues but “children aren’t getting outside enough and it’s bad for them” is not the worst kind of dead canary that we could use. And to have the opportunity to fully make the policy case, we also need to encapsulate the solution – without compromising our vision for it – in a way that is equally suited to the sound-biting, twittering age we live in. Here, Free-Range Childhoods, I think, makes for a rather good skylark. Thanks for this, Adrian. I love Arthur’s PBI (Pink Bike Indicator), I think it encapsulates a number of issues with true style. I agree that those embedded in policy networks need to pay heed to the kinds of sound bites that will work for canary policymaking as well as skylark. I also agree with the comments made on both mine and Tim Gill’s blog that we could argue about language all day long but what counts is what happens in practice. And I think there is a place for those positioned on the periphery of both policymaking and of practice to be able to offer a view from the edge. All three – policy, practice and research – are interrelated and often in tension with each other. That’s why it is important to have these debates. Sorry but I’m going to drone on for a bit, in exactly the same way I did on Tim’s blog recently. It’s your fault for writing a stimulating piece. Worse still, I have decided to write a longer piece, which I am sparing you here, but will (maybe) soon appear on my own blog. You have been warned. I think there is a bog etiquette (blogiquette?) that requires commenters to be brief, and also says sternly that if commenters can’t be brief then they should never make comments with a higher total word count than that of the original posting. 2. Well done with your use of my PBI ideas, excellent exposition and application. I very much applaud your conclusion about the need for both positive and negative propaganda tools (my paraphrase) – that’s not just a point about ‘balance’, it is a conceptual necessity if we are to persuade. We must both invite others to join our utopian vision and remind them of the dystopia which looms – carrot and stick. Now Adrain, you know me, I neverdodge an opportunity to criticise, so – as regards the recent ‘discourse’ ( or rather mini-kerfuffle) about NDD – IMHO it has all been a bit silly really, because the twitterings and kerfufflings largely missed the point about NDD , which I obviously failed to explain properly in both my comments on Tim’s blog and on the original Love Outdoor Play item by Wendy. oops – please excuse 2 typos: Adrain for Adrian and neverdodge which sounds like a Keane album. Please note, tongue firmly in cheek for the duration of this comment. Thanks for your positive comments Arthur. 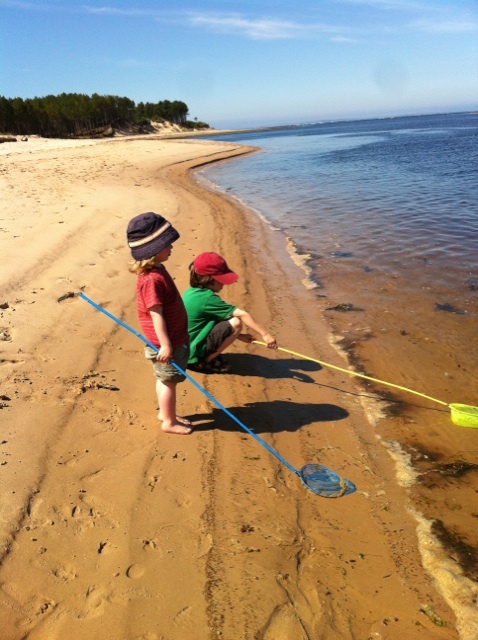 I think you’re right about NDD (Nature Deficit Disorder, for the uninitiated). It’s part of someone else’s campaign. But it can can help to amplify to ours so long as we’re clear that children’s right to play and their need to have access to nature are not the same thing. I touched on this obliquely in my blog about Sendak and am working on a piece about Pop-up Adventure Play, which will address it more directly. IMHO – netslang for ‘in my humble opinion’, it’s a useful one to try to pre-mollify would-be offence-takers. BTW is also useful, by the way, but be careful with LOL, as callmedave discovered. I look forward to your piece on PUAP. The problem with PUAP is just one little yet all important thing – the NAME! You can quote me if you like, because much as I love them, and I do, from afar, the name is completely, exasperatingly, so nearly right, but just plain annoyingly WRONG! And specifically – the a-word. PUAP is not, repeat not PUAP, it is, wonderfully, PUP! it is pop-up play! It can’t be adventure play because adventure play is defined, in a document published by you Adrian, as…. which no doubt you will also be reminding us of…. Arthur – I never knew you felt that way about the name PUAP! Why didn’t you ever tell me? I’d love to talk more about why that “all-important A” is in there. I promise you, it was included with a great deal of care and consideration. Actually, I’ll work up a blog post that addresses this in greater depth than a comment box allows, because I think it’s important to be clear on these things. only just seen your comment, when I followed a link to Ade’s latest message to the nation. Did you write the piece justifying the A in PUP? It is heartening to see such a clear exposition of one of my favourite notions – thank you, Adrian. Makes a change from the recent misrepresentation of my ideas by one who should know better.